Customise your comfort level with three treatment levels. Start on low, and work your way up to a higher setting. Hold the Tria Laser Precision against an area until you hear a beep. After each beep, lift and place in a new treatment area. For best results, treat every two weeks for up to three months. 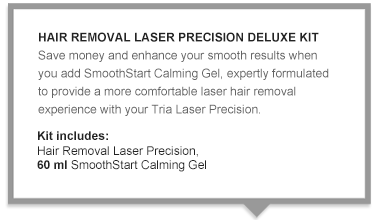 Download more detailed information on how to use the Tria Laser Precision. Ultra slim and lightweight, Tria Laser Precision makes treating your smaller, more sensitive areas a breeze. 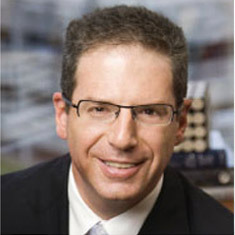 It uses the same advanced diode laser technology preferred by dermatologists, so the results are permanent. Tria Laser Precision takes beauty to a smooth new level. Our most advanced device is the Hair Removal Laser 4X. With a sophisticated interactive display and a longer battery life, Tria Laser 4X is great for head to toe coverage including arms and legs. Which device is better for me, Tria Laser 4X or Tria Laser Precision? While both devices feature Tria's proprietary, FDA-cleared diode laser technology to deliver permanent results, the ideal device for you should be determined by where and how you would like to treat . Tria Laser 4X is our most advanced device with professional features so you can treat like a pro from head to toe. You can treat multiple body parts with faster treatment times and an upgraded battery pack. Tria Laser Precision is our lightest and slimmest device, designed to treat your small, sensitive areas, such as underarms and bikini area. It's ideal for quick treatments in the small, targeted areas that you shave or wax the most. Check out our product comparison chart to find the right device for you. 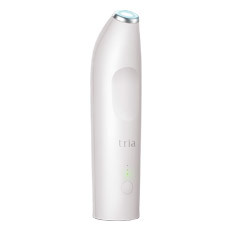 Can I use the Tria Hair Removal Laser Precision on my face? Yes, the Hair Removal Laser Precision can be used on women's facial hair (cheek line downward) and is specially designed with a slim and lightweight body for these small, sensitive areas. Men should not use it on their face due to the density of facial hair. Can I use the Hair Removal Laser Precision on my legs? While the hair removal technology is the same across both devices, the Tria Laser Precision is designed specifically for quick treatments in small areas, such as the underarms. We highly recommend the Tria Laser 4X if you are considering treating larger body areas, such as the leg. Tria Laser 4X is our most advanced device with professional features to guide you through each extended treatment. How long does a battery charge last? Each Tria Laser Precision battery charge lasts about 15-20 minutes, depending on the treatment level. The slim battery pack is perfect for a quick treatment of a small area, such as the underarms, at the Medium or High level. Is my skin tone suitable for using the Tria Hair Removal Laser Precision? 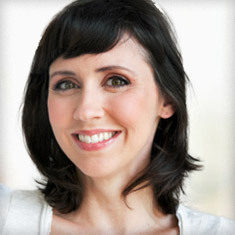 The Tria Laser Precision is intended for people with light to medium skin tones in the area they wish to treat. Darker skin tones can absorb too much laser light, which may injure the skin. The built-in skin sensor will determine if at-home laser hair removal is suitable for your skin tone. Note: skin tone in one area can be darker or lighter than skin tone in another area, so it is critical to use the built-in skin sensor in the area you wish to treat. Is my hair color suitable for using the Tria Hair Removal Laser Precision? The Hair Removal Laser Precision is designed to work on naturally light brown to black body hair in the area they wish to treat. Because the Hair Removal Laser Precision works with the dark pigment in the hair, lighter hair colors such as white, blond, red, or gray will not absorb enough of the laser's energy to disable the hair follicle. Why do I have to shave? We recommend that you prepare your skin before each Tria Hair Removal Laser Precision treatment for best results. Wipe your skin with a cool, damp cloth to remove any shaving cream or soap, and then dry the area well. Please note: Waxing and plucking are not advisable any time between treatments because both remove hair from the follicle. The hair inside the follicle needs to be present for the Tria Hair Removal Laser Precision treatments to be effective. Can I use my Tria Hair Removal Laser Precision more often than every 2 weeks? My Tria Laser Precision emits a whirling/fan noise and warm air as soon as I start my treatment. Should I wait for it to turn off before moving to the next treatment area? It is normal for the cooling fan to turn on and emit warm air through the bottom vent as soon as you unlock your device. You should continue treatment while this is happening and do not need to wait for it to turn off before treating the next area.